Summer weather is finally here. The parks are starting to fill up, and bars with outdoor seating are now a hot commodity. This can only mean one thing: it’s officially Summer Festival Szn in Philadelphia. 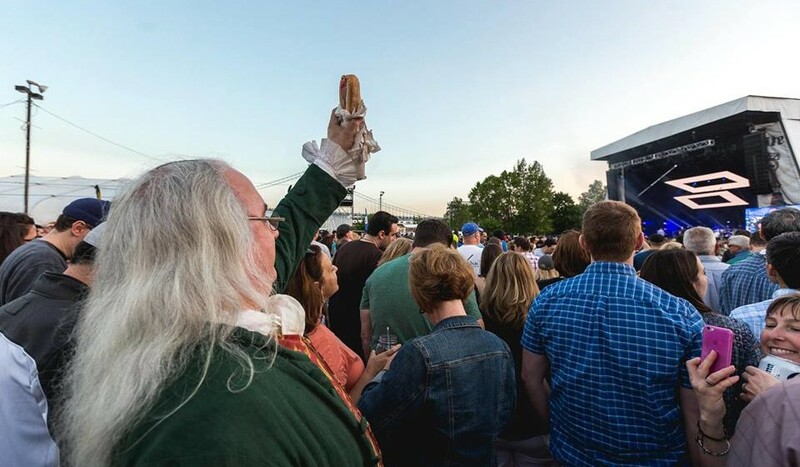 There is always something to do in the City of Brotherly Love, and this summer Philly is stepping it up with these amazing festivals and events. 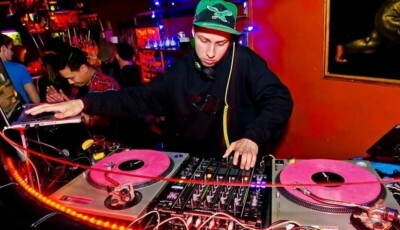 From cultural events to concerts, to various pop-ups in parks, there’s something for every festival-goer. With all of these upcoming events, you’ll be sure to enjoy every bit of this summer season while working on that tan you’ve been craving. We’ll start from late June and end in mid-September. The Night Market is stopping at the Gayborhood to host its next festival. From 7 to 11 pm go and enjoy local food vendors as they line up the block. 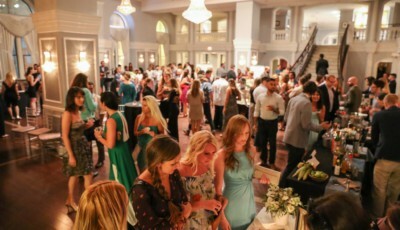 Twilight in the Gardens is a BYOBBS event (Bring Your Own Booze, Blanket, and Snacks), where guests are encouraged to relax and picnic in the space. The event will feature a crafting session, and live music from Hoochi Coochi. Juneteenth is the oldest known celebration to commemorate the end of slavery in the United States. This year’s 2018 Juneteenth festivities kick off on Friday, June 22 in Center City. From 6 to 10 pm, enjoy performances from Evelyn Graces Dance & Drama Company, Voices of Soul Choral, over 100 youth bands, and more. On Saturday, June 23 the parade will begin at 12 pm on 15th and JFK and will feature over 3,000 marchers, 18 Festive Floats, and Live Bands & Musical Floats. The parade will end at Penn’s Landing where the festivities will continue with Musicfest, the Children’s Village, and the Market Place. With your ticket enjoy unlimited sampling of 150+ local craft brews, animal meet-and-greets, music, games, and more throughout the zoo’s wildlife garden. This outdoor event is the largest arts festival in the tri-state area, and celebrates the best variety of fine arts and crafts from across the country. Stop by and empty your wallet on clothes, jewelry, ceramics, paintings, sculptures, photography, by known and emerging artists. Event lasts from 11 am to 7 pm on Saturday, and 11 am to 6 pm on Sunday. 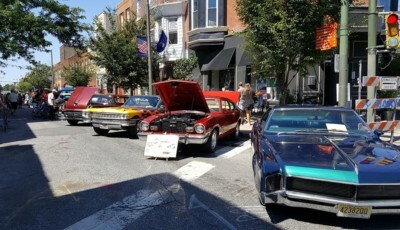 The Manayunk Arts Festival was a fun success! Thank you to everyone who came out! Stay tuned for listings of dream catchers that didn't find a home this weekend. They'll be available to ship immediately after ordering! From noon to 7 pm come celebrate Ireland’s cultural heritage, from music to dancing to food. There will be performances from Irish musicians, dance schools, bagpipers, and a selection of traditional foods like shepherd’s pie and bangers and mash. This year, in honor of America’s birthday, Wawa is boasting over 5o free events to attend. 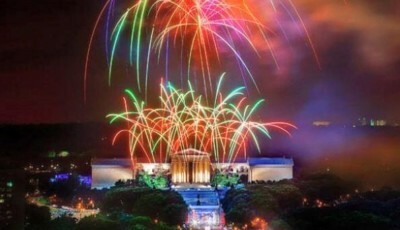 From free admission to museums in Philadelphia to fireworks and movie screenings, these opportunities are definitely worth celebrating. As one of Philadelphia’s most popular Latino events, the Hispanic Fiesta continues to bring people together and celebrate the Latino culture and community through music and dance performances, ethnic foods, and artisan crafts from nearly all Latin American countries. This event lasts from 2 to 8 pm. Interact with this unique pop-up exhibit displaying local artists and their red, white, and blue themed art. The 700 block of South Street will be closed for the FIFA World Cup Finals. Starting at 10 am, the game will be projected onto a 20 ft elevated screen, and there will be beer gardens and food vendors. The fifth season of the Oval is kicking off, which means ‘Park on the Parkway’ is back with its wellness Wednesdays, dance party Thursdays, food and flicks Fridays, and game day Saturdays. Opening day runs 5 to 10 pm. Beginning at 7 pm each night, join the theatre company Shakespeare in Clark Park for a free performance of Twelfth Night. 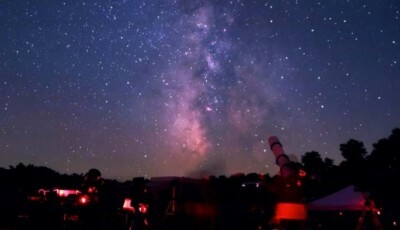 Bring a blanket, pack a picnic, and enjoy a community event under the stars. 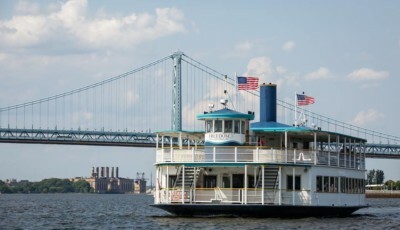 The XPoNential Music Festival is a three-day event along the riverfront in Camden, NJ. It’s not technically Philadelphia, but a hop across the Ben Franklin Bridge is NBD! This year it is featuring three stages and 30+ performers, including The War on Drugs, Bermuda Triangle, and David Byrne. There are three day, as well as single day passes available for purchase, and $15 kid’s tickets. Go and check out the children’s garden, food, drink, and vendor selections available. Come and adopt a kitty, donate, meet famous internet cats, and enjoy art, speakers, toys, apparel, and housewares. Event runs 11 am to 7 pm on Saturday and 11 am to 5 pm on Sunday. This car show is also a street festival, so come check out the live music & DJs, a free moon bounce and kids entertainment, a craft show, and street food, along with the 150+ different cars, trucks, and motorcycles. Blackstar celebrates visual and storytelling traditions of the African diaspora, showcasing independent films about the global black experience, as well as films by people of color. View the schedule here. 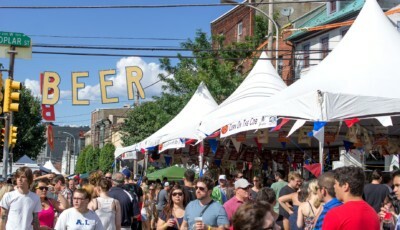 North 2nd Street in Northern Liberties will be closed for its annual street festival, filled with craft beer, food trucks, artist and craft vendors, street performances, and three stages for live music. Festival lasts noon to 10 pm. This year marks the 11th annual African Festival hosted by ACANA. The show boasts African music, dance, and cultural festivities including food and games. The Night Market is stopping this time in Kensington. 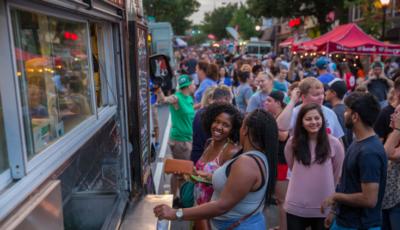 From 6 to 10 pm go and enjoy more local food vendors and musicians as they line Frankford Avenue with Philly’s best. From 8 am to 2 pm, North Broad Street will be closed from City Hall to Erie Ave for pedestrians and bikers alike to walk or unicycle along the 8 mile stretch. From noon to 7 pm there will be performances, dancing, music, food, and activities in celebration of Indian Independence Day and American Indian culture. Noon to 8 pm, participants can come and celebrate Caribbean culture, music, and food from 14 Caribbean islands while enjoying workshops, a children’s corner, and a marketplace. Budweiser’s Made in America Festival is back on the Parkway for another year. This year’s lineup includes Post Malone, Nicki Minaj, Meek Mill, Diplo, and Zedd. The Fringe Festival is a 17-day, city-wide celebration of innovative and creative artists in contemporary performances. 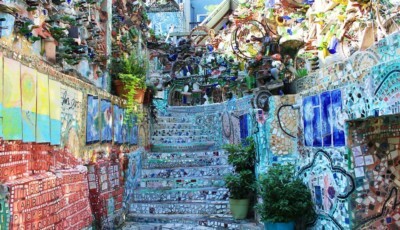 Over 1,000 performances take place across Philadelphia, including national and international performers. This cultural festival celebrates Mexican Independence with music, food, dancing, and more. Shop traditional arts and crafts, dance along with Mexican bands, and enjoy activities such as face painting and giveaways.